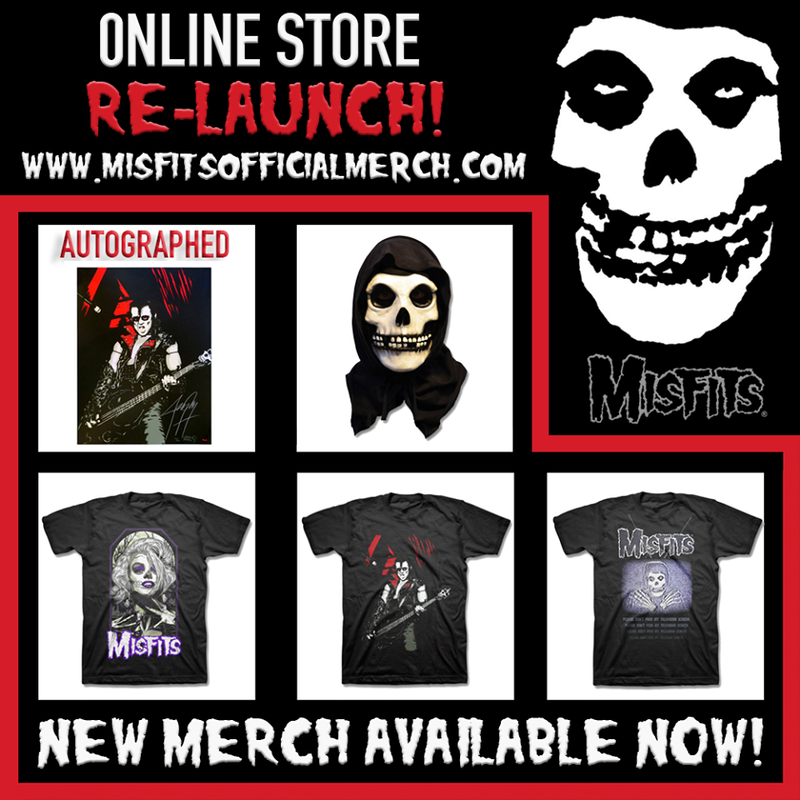 MISFITS ONLINE STORE RE-LAUNCH! NEW ITEMS INCLUDE: Signed & numbered “Jerry Only” red & black hand screen-printed 18″ x 24″ poster by artist Billy Perkins—each personally autographed by Jerry Only in an edition limited to 138 pcs worldwide! 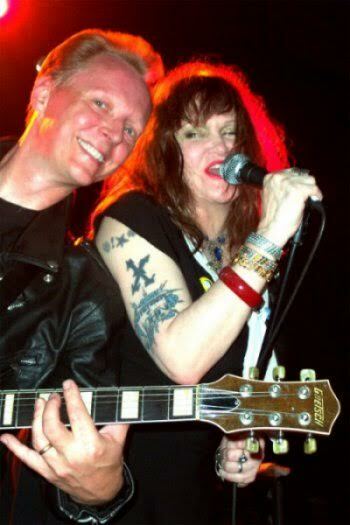 (Los Angeles, CA) Legendary guitarist, punk legend, and all-around nice guy, Billy Zoom, has been diagnosed with cancer. Zoom was given the news that he has an aggressive form of bladder cancer and immediate treatment is necessary to fight the disease. The 67-year-old musician/producer/electronics wiz will begin chemo treatment next week. In early 2010, Zoom revealed that he had been successfully treated for prostate cancer. After undergoing a radical prostatectomy, the cancer was caught in its early stages and he was given the ‘all clear’. 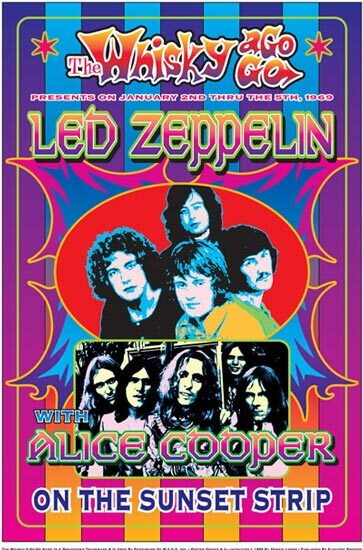 X and Zoom are committed to this weekend’s 4-album play shows at Orange County’s The Observatory where Billy will join his longtime bandmates on stage to play songs from his iconic bands first four albums. Joining X for these shows will be The Blasters and Mike Watt. “In the music community, we all take turns helping each other. 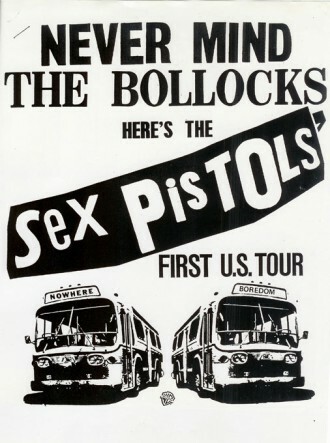 Punk rock and benefits: you name the cause, and the bands and fans will be there. 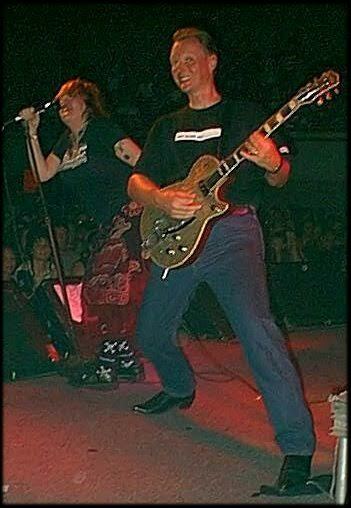 Now it’s our turn to help Billy Zoom, the wittiest, smartest, nicest, best guitar player & friend we know. We would do anything to help him get better, help take care of his family, and lessen his woes. 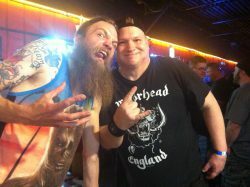 Please keep Billy in your prayers and send some positive energy his way! Donating a few bucks will take away some of his financial stress and worry. Dee Dee Ramone Exhibition Comes To NYC For The First Time Ever! 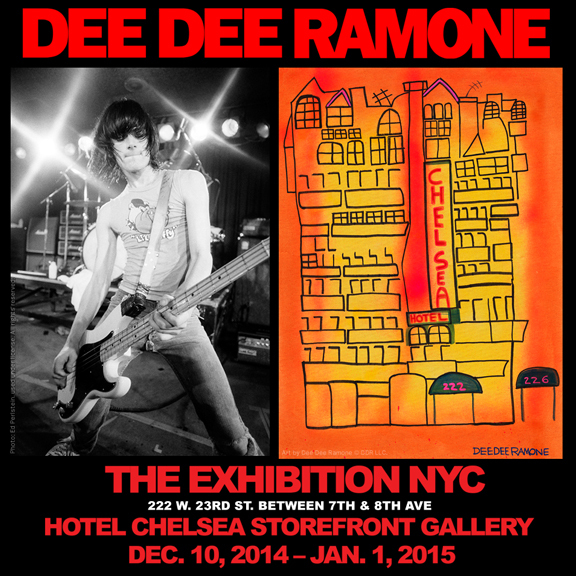 The Dee Dee Ramone Exhibition will be held in Dee Dee’s home turf of NYC for the first time ever at the Hotel Chelsea Storefront Gallery (222 West 23rd Street), from December 10th, 2014 – January 1st, 2015. The launch of this exhibit will offer a preview of the soon-to-be-released Fender® Dee Dee Ramone Limited Edition Signature Precision Bass® guitar, a tool used by the enigmatic Ramone to leave his indelible fingerprint on rock history for generations to come. This historic exhibition sanctioned by the rock legends’ own estate, will celebrate all of the facets of Dee Dee’s long-lasting artistic legacy: a founding member of the Ramones, one of the most influential punk-rock bassists and primary, prolific songwriter of world-famous group, as well as his work in the visual arts – proving that Dee Dee, who began painting more seriously in 1996, was an artist in every sense of the word. The breadth of Dee Dee’s art and achievements is so wide that one of his paintings, to be featured in the exhibit, was recently showcased in a question on America’s favorite quiz show Jeopardy. Additionally, what makes this exhibition so incredibly unique is Dee Dee’s history with the iconic Hotel Chelsea, which is not only a place he frequented, and at times lived in, but was also the setting for his 2001 novel Chelsea Horror Hotel: A Novel, as well as the focus of many works of art which will be on display in the exhibition. The legendary Hotel Chelsea has been home to generations of writers, artists, musicians, and bohemians and Chelsea Hotels is continuing the dedication to its history and support of the arts through this exhibition. In addition to featuring Dee Dee’s original art, wardrobe, memorabilia and rare artifacts, the Dee Dee Ramone exhibition will also include iconic photographs by world-famous photographers including Bob Gruen, Mick Rock, Chris Stein (Blondie), Ed Perlstein, Stephanie Chernikowski, Keith Green, Jenny Lens, Stanley Ryan Jones, Jimmy Steinfeldt and more TBA. Previous exhibits of Dee Dee’s work have been held at La Luz De Jesus and famed street artist Shepard Fairey’s Subliminal Projects galleries in Los Angeles, and is now being presented in New York for the first time. The exhibition will be open to the public from 1pm to 8pm every day, 7 days a week, starting Dec. 10, 2014 thru Jan. 1, 2015. Holiday hours will be in effect with an early closing on Christmas Eve, closed all of Christmas day, and early closing on New Years Eve. ADMISSION IS FREE! DO NOT MISS IT!! Check the Official Dee Dee Ramone Website for more details as they become announced on both the Exhibition, and the Fender Dee Dee Ramone Artist Signature Precision Bass. Each Bass comes with an exclusive Limited Edition Scrapbook featuring rare content, plus quotes from Misfits’ Jerry Only, Dez Cadena (Misfits, Black Flag), John Cafiero (Osaka Popstar), Walter Lure (The Heartbreakers), Barbara Ramone Zampini, Debbie Harry (Blondie), Richard Hell and more. CLICK HERE for your chance to win one FREE from Amoeba & Truetone Music! LONG LIVE THE LEGACY OF RAMONES. REST IN PEACE, DEE DEE RAMONE. 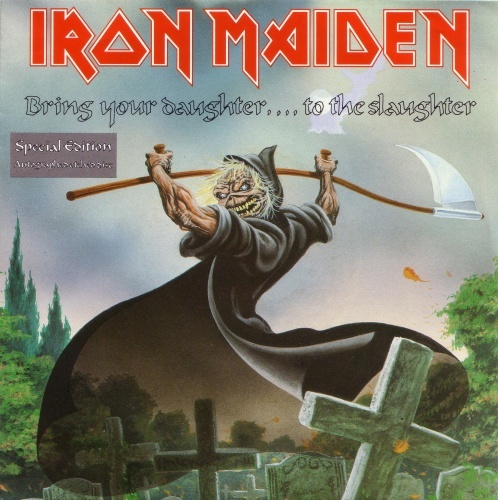 The single features longtime Misfits and Ramones collaborator John Cafiero (Vocals), backed by a lineup of Dennis Diken (The Smithereens) Drums, Sal Maida (Cracker, Milk & Cookies, Roxy Music) Bass, and Dean Rispler (The Dictators NYC, Voluptuous Horror of Karen Black) Guitar. Also available at @ iTunes, Amazon and digital music providers worldwide. Check out the new single in streaming audio at New Releases Now. 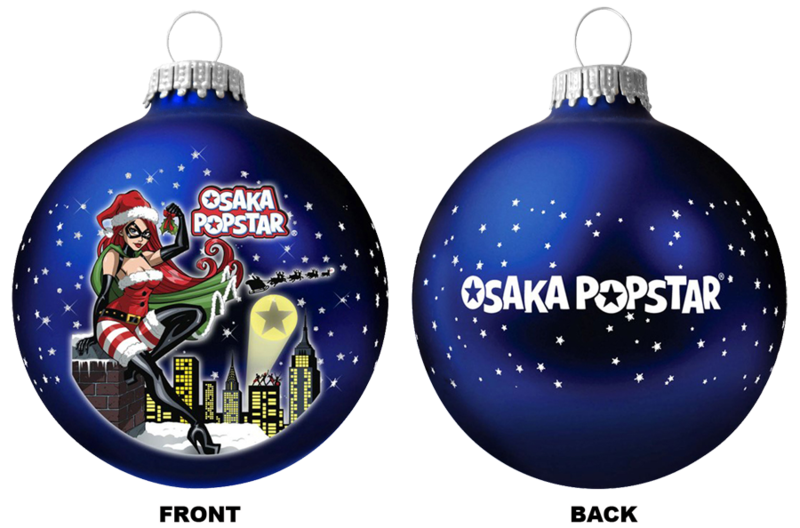 Stone Says: You just gotta love Osaka Popstar cause once again, Punk Rock lives through the masterly creativity of John Cafiero! O Holy Night is given the Punk Rock treatment that became immediately habit-forming for me! This new Punk cover of a Christmas classic is a necessary need, for all of us who love genuine Punk and Rock ‘N Roll! Whoa!